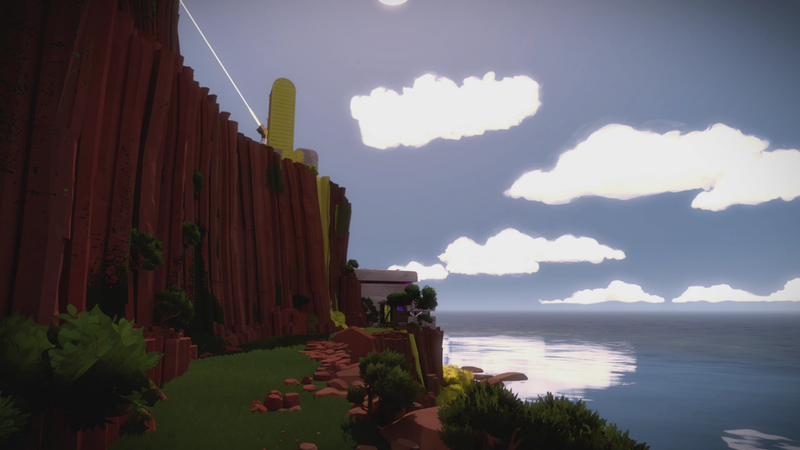 A small number of puzzles in The Witness will be difficult or impossible for some color-blind and hearing-impaired players to solve, though those puzzles are optional and the game can be completed without them. The puzzles in question comprise just a fraction of the many challenges in The Witness, which came out yesterday for PS4 and PC after eight years of development. Because no one on the Kotaku staff is color-blind, and because only one of us has cleared nearly 500 of the game’s puzzles, we have not been able to test all of the puzzles in the game. Without giving too much away, this is a key puzzle in the Bunker and is part of a color-distinguishing sequence that is among the most challenging puzzles in the game. The Witness’ developers didn’t include a colorblind setting, as some games do, but instead have allowed sections like that to be skippable. “We definitely thought about colorblindness but ultimately there was not much we could do in terms of the individual puzzles,” the game’s lead developer, Jonathan Blow, told me today. As Blow said, the game can be completed without finishing the Bunker area. The same is true for areas that have audio-centric puzzles. The color-based puzzles will be easy for even colorblind players to spot. The audio ones, of course, won’t be. Saying exactly where they are would be a spoiler for everyone, but for the sake of players who are hearing-impaired, click here to see an image of where one set of audio puzzles begins, and click here and here to see two other puzzles that have audio-centric solutions. In all three cases, completing the puzzles is not mandatory for getting to the ending of the game, since players don’t need to clear all of the island’s sections to reach the end. But the game does reward players who finish more than the minimum number of sections with more cool stuff to do. So, for the sake of breaking this down without spoiling the game, the first of the linked images is for a section that hearing-impaired players won’t be able to finish. The other two are in sections that you can finish even without completing those specific puzzles. Having played through all the puzzles in this story, I recommend that players who aren’t able to do these puzzles try them out with a friend or consider whether they will be okay with finding the solutions online. To contact the author of this post, write to stephentotilo@kotaku.com or find him on Twitter@stephentotilo.